Disclaimer: I am not being compensated for this review – Freekeh provided me with two samples of their product for free to review and I’m sharing my experience with you candidly. “Freekeh” is a process which means “to rub” in Arabic. This product was created by accident nearly 2,000 years ago in a Middle Eastern village when they were attacked and their crop of young green was set ablaze. The villagers cooked up the remains in an attempt not to starve and Freekeh was created. 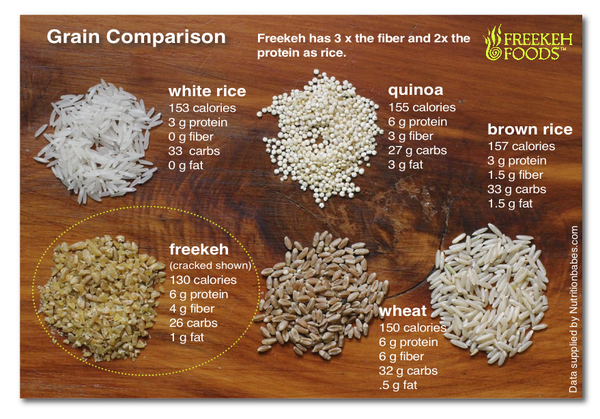 Freekeh can be compared to any other grain you would consume – white/brown/wheat rice and quinoa, for example. Freekeh comes up with 3x the fiber and 2x the protein as rice for an 8 ounce serving (6 grams of protein and 4 grams of fiber), and you even save a few calories if you’re counting. It is also naturally low fat and low sodium, and it is vegan and organic. Freekeh can be cooked like any other grain and is organic, and their Original Freekeh recipe contains no additional seasoning or salt. You can also purchase Rosemary Sage Freekeh – seasoned with the aromatic flavor of organic rosemary, organic sage and organic sea salt – which they recommend with chicken or pork, or cold summer salads or warm risotto-style dishes. You can also purchase Tamari Freekeh, which is combined with Japanese-style soy for a distinctive Asian flair. It’s made from brewed soy and holds a mild flavor while being significantly lower in sodium than traditional soy sauces. This variety is best with any stir-fry recipe or as a side to a fish entrée. Freekeh products can be purchased in the US and Puerto Rico through UNFI, KEHE, Haddon House, Nature’s Best, Amazon and Abe’s Market and other local stores near you. You can also purchase in bulk through Freekeh’s online store in 25 pounds bags. I tried the Original Freekeh recipe and the Tamari Freekeh recipe and I thoroughly enjoyed both. I will probably move forward with just the Original Freekeh recipe because I like my food plain and simple so I can combine a bunch of different flavors based on my mood, which is why I’m such a huge fan of whole grain rice and plain quinoa. Even my husband liked it, so I will definitely be adding this product into our regular line-up. Want to try Freekeh for yourself? Contact me for a coupon to save 50 cents off an 8 ounce package in the flavor of your choice! Coupon expires 12/31/2015 so you have plenty of time to use it. You can follow Freekeh on Facebook (Freekeh Foods), Instagram (@freekehfoods), Pinterest (Freekeh Foods) and Twitter (@freekehfoods). Cats. They always have to be the center of attention. Disclaimer: I am not being compensated for this review – I’m sharing my experience with you candidly. MealEnders provided me with a sample of their product so I could provide a thorough review for you. You know the feeling – mid-afternoon hits, that long stretch between lunch and dinner, and you find yourself craving something sweet. 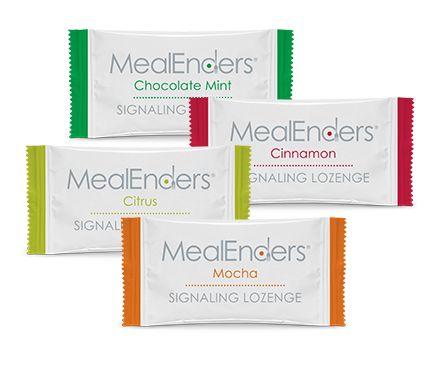 Rather than heading to the office vending machine, pop a MealEnders Signaling Lozenge instead! When you pop the lozenge, the instructions are to let it fully dissolve in your mouth – no chewing! This takes about 20 minutes and keeps your mind occupied during the Overeating Zone, which gives your natural satiety process time to kick in and catch up. Have you ever heard that you should eat your meals slowly and deliberately and pay attention to what you’re eating rather than watching TV or reading? These lozenges work with that same thought in mind – your brain and tastebuds are stimulated and your body pays attention to what’s going on, allowing it to better understand when it’s satisfied. 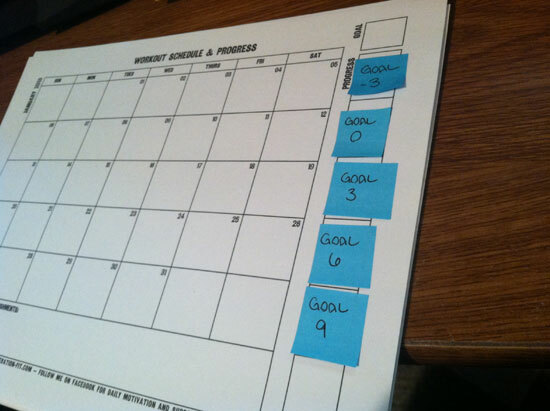 You can even use MealEnders after a meal to avoid overeating. The company suggests taking them along to restaurants, a place where you are over-served tons of calories that you don’t need to be consuming. 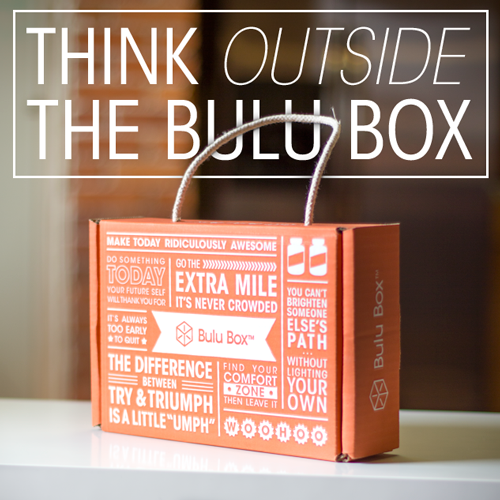 Simply eat 50% of your meal and ask that the rest be boxed up so you can take it home to enjoy later. Pop a MealEnders and leave happy, with the knowledge that you made a very smart decision. MealEnders do not contain any stimulants, herbs or potentially toxic substances. They are low fat, kosher, gluten free, and contain no drugs, herbs or high fructose syrup. They can help prevent you from overeating, and they can also be used in place of appetite suppressants, energy drinks, cigarettes, caffeine and other untested supplements. Using MealEnders on a regular basis helps you develop a pattern physically and mentally – you’ll start to associate the active-taste sensations with the end of eating, which will help you create new, healthier eating behaviors. MealEnders come conveniently individually packaged so you can pop them in your purse, keep them in a bowl on your dining room table or desk at work, or even in your car when you’re on the go. My husband and I were very excited to try MealEnders and we enjoyed all four flavors we received: Chocolate Mint, Cinnamon, Citrus and Mocha. The two stages were very interesting – the first was very enjoyable (my favorites were the Chocolate Mint and the Mocha – I love chocolate!) and then the second was tingly and interesting. It does take about 20 minutes for lozenge to dissolve and we both experienced the mental triggers we were supposed to. We love having MealEnders on hand in our house and on the go for the purposes described above – we count calories and watch portion sizes, and having a little “magic pill” in our back pocket never hurts either. You can purchase MealEnders in a solo pack for $14.95 each ($0.60/serving), or you can purchase a 1 month bundle for $34.95 ($0.47/serving) or a 3 month bundle for $89.95 ($0.40/serving). In my opinion, that’s a great price for the product and very fair for the quality of what you receive. You can mix and match flavors, too, which is awesome – we all have different cravings at different times, it’s nice to have variety. They also give you the option to “subscribe and save” to save an additional 10% off, which is a great option if you plan to use the product longterm. 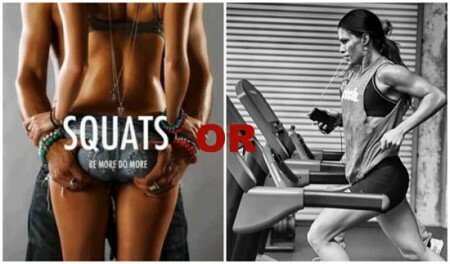 Creating a healthy lifestyle and healthy habits takes work, I’ll be the first one to admit that. You can do it alone for sure but using products like this can be very helpful. I highly recommend you check out one or a few bags of MealEnders and see for yourself how great these little lozenges are. 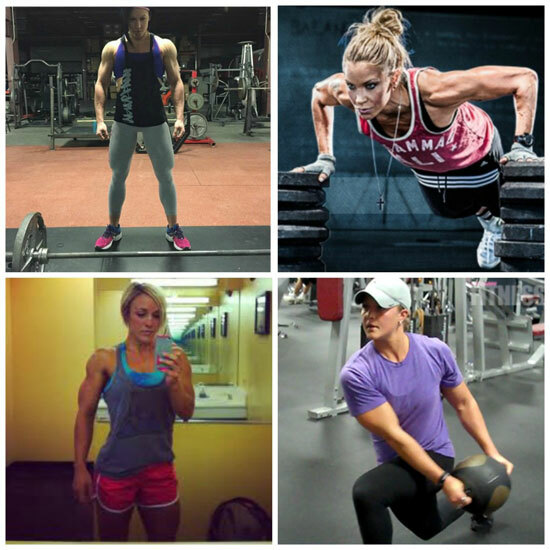 For a limited time, use the coupon code WINNER-TOO at checkout to save 30% on your order! MealEnders is on Facebook, Twitter, Pinterest and Instagram. Connect with them and never miss an update. The Color Run’s SHINE Tour is coming to Cleveland on Saturday, June 20th and you can save $5.00 on your registration with the promo code CLEVELAND5. Registration is $45.00 before the promo code and that price goes up to $50.00 on March 15th. Register today for Cleveland to save as much as you can! The Color Run was my very first 5K and I recommend it because it’s such a great time. 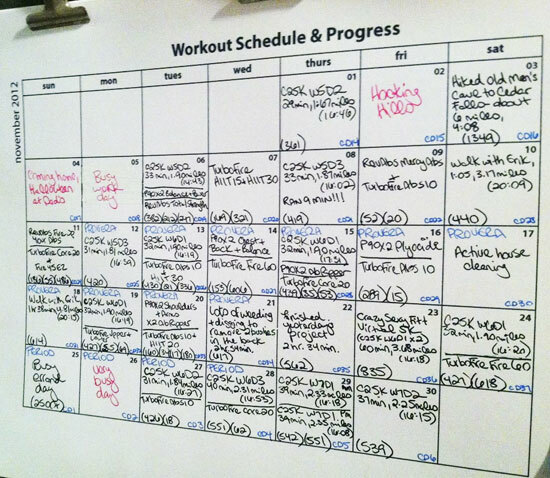 These runs are all about fun – walk, jog, run, whatever – no one is keeping time, no one cares how fast or slow you are. Show up wearing all white and leave a colorful mess. 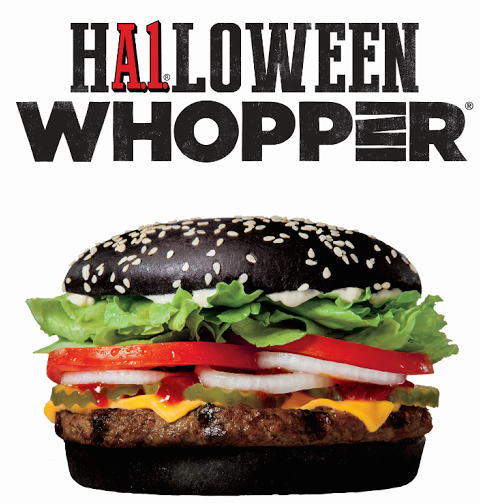 This year they’re adding in glitter, too!! I’m so excited about that! 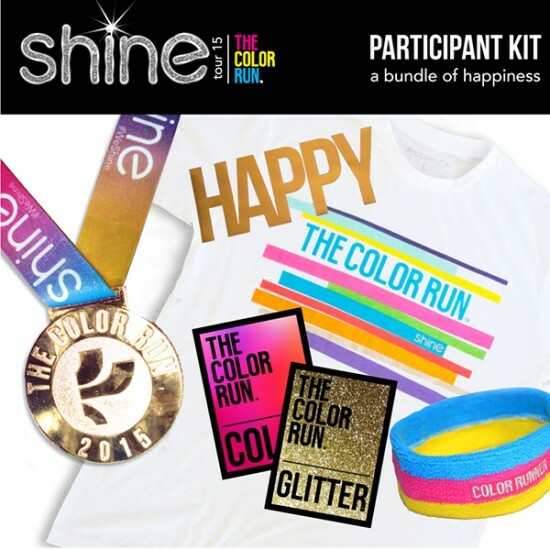 All participants receive with their registration: a free The Color Run Shine t-shirt, a gold foil tattoo, a woven shimmer headband, SHINE and color packs to throw at the event, and a 2015 finisher medal! I love my running bling and I love the addition of the medal this year.